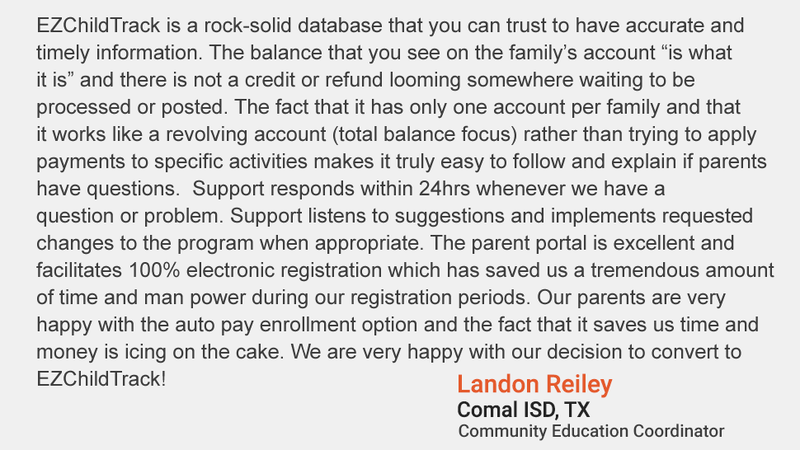 Parent portal increases enrollment, speeds up account receivable and saves staff time on administrative tasks. 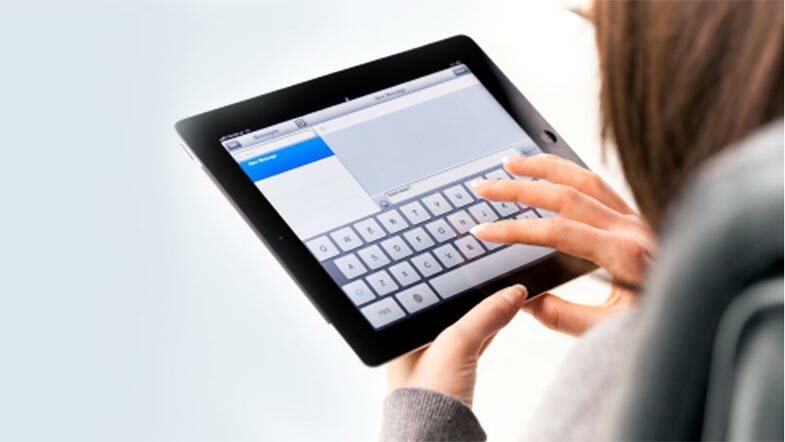 Site access to the system results in higher customer satisfaction and increased productivity. Real-time access to data enables site monitoring and better decision making. 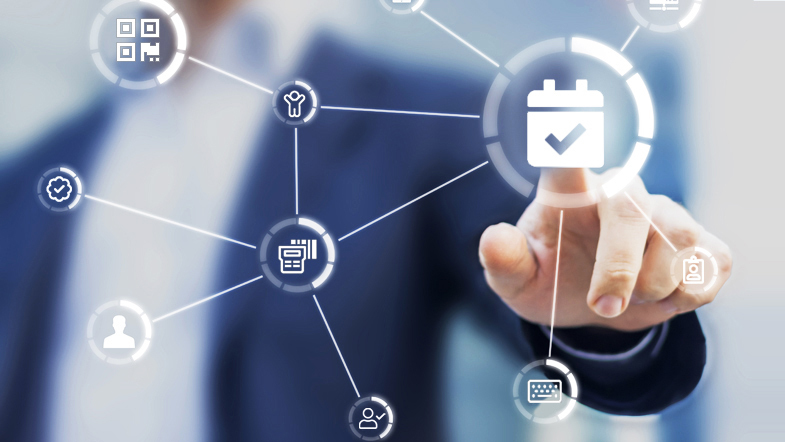 Centralized automated billing lowers time spent on repetitive tasks. Complete web-based solution offers flexibility with real-time access to information. Eliminates IT and hardware costs. Automated posting of tuition, late payment, late checkout etc. Email blast invoices, statements, etc. 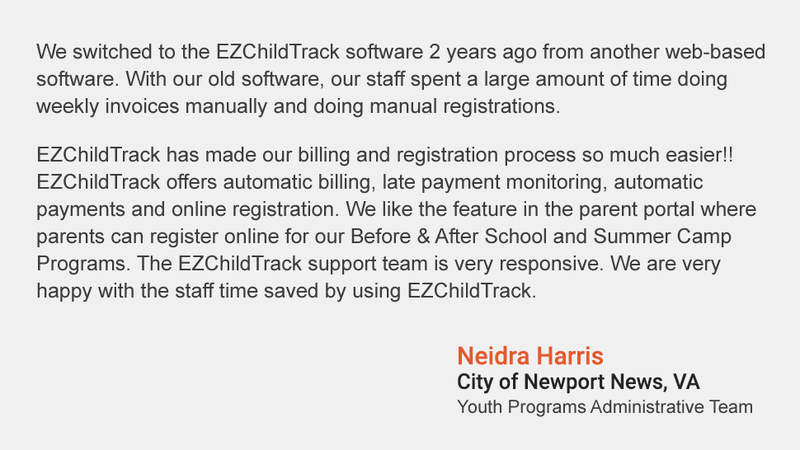 The EZChildTrack childcare management software works in conjunction with our EZReports software for grant funded after-school program (21st CCLC program). 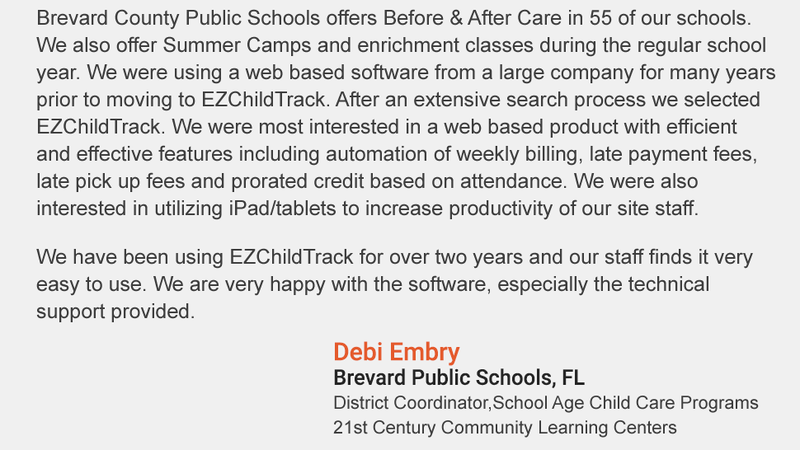 The EZChildTrack childcare management software is integrated with EZComEd to provide a common customer portal for childcare and community education. EZChildTrack is a highly trusted brand that pays emphasis to quality and functionality and many of our clients vouch for how reliable and secure the system is as compared to other products. 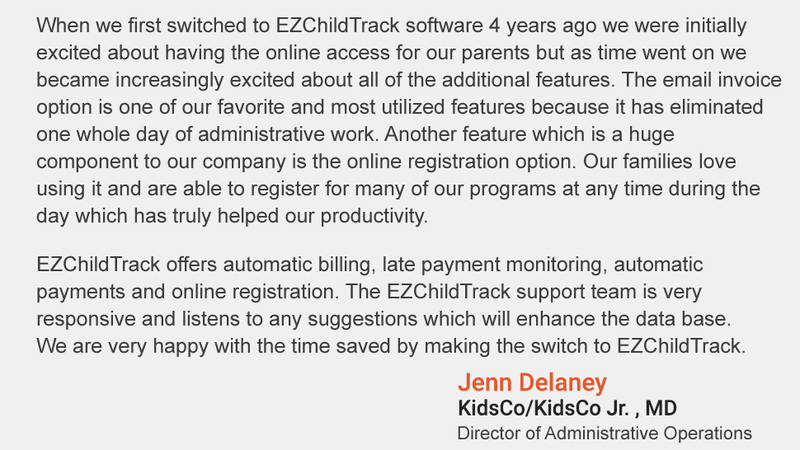 After an extensive search process we selected EZChildTrack. We are very happy with the software, especially the technical support provided.